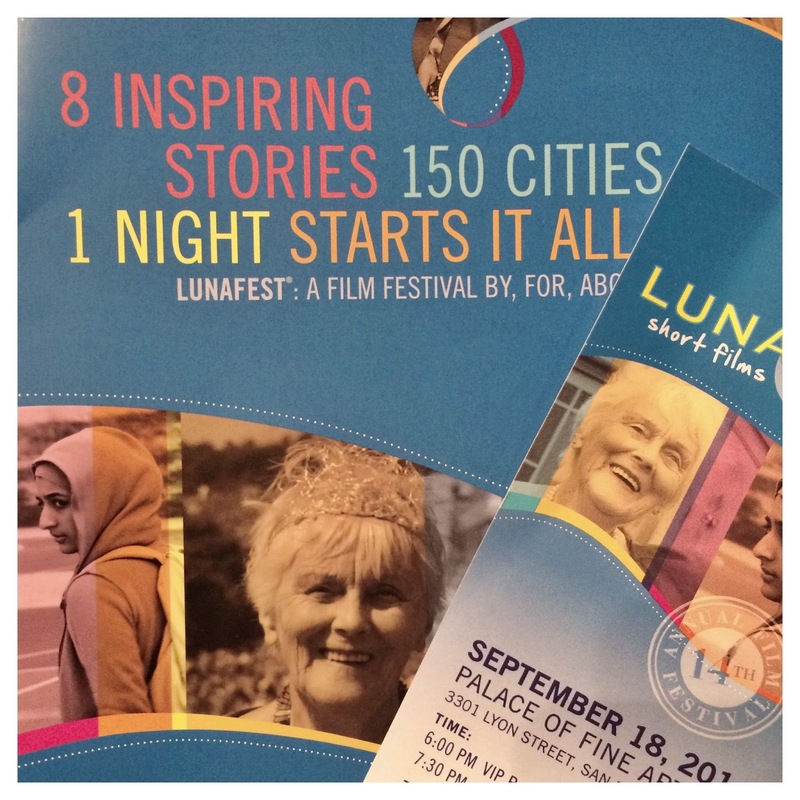 Last week, I was honored with an invitation to attend LUNAFEST at The Palace of Fine Arts Theater in San Francisco. I wanted to share my experience with you because it really was a great evening. I also want to share a bit about my Mom, who has been the most influential woman in my life. This post is a little longer than I anticipated, but I think you'll enjoy it, and hopefully it will inspire you. 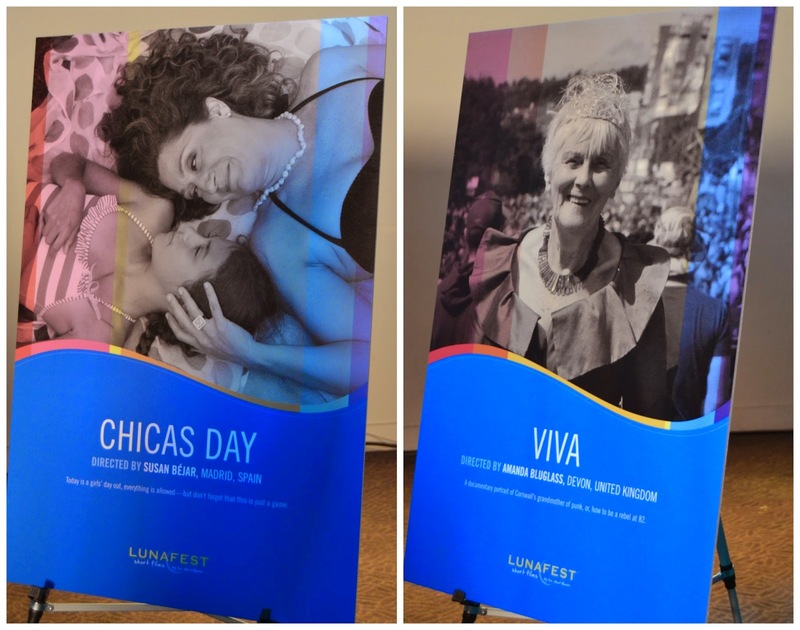 LUNAFEST was established in 2009 by LUNA Bar, the event aims to connect women, their stories, and their causes through film. It's a traveling film festival that highlights the work of a diverse group of female filmmakers with unique and interesting stories. And one of the greatest things about LUNAFEST is that it's also a fundraiser for Breast Cancer, specifically the Breast Cancer Fund, 100% of all net proceeds go directly to charity! It's such a unique and exciting event, bringing women together, sharing stories, and empowering women across the nation. All while raising money to help prevent breast cancer, which is what makes The Breast Cancer Fund unique. Their efforts are dedicated to eliminating the environmental causes of Breast Cancer. Rather than funding treatments, they're working towards ending the disease all together! The LUNAFEST Film Festival travels teach year, presenting eight short films across the county. The films are selected from over 950 applicants. Each film tells a unique story by, for and about women; making it the only film festival of it's kind. The films are about a variety of topics that are thought provoking, will make you laugh, and tug at your heart strings. After the reception, we heard speakers from LUNA Bar, The Breast Cancer Fund, as well as a film maker from a previous LUNAFEST, Jen McGowan. You might have heard of the new movie Kelly & Cal starring Juliette Lewis, which has gotten much praise at film festivals such as South by Southwest! I really enjoyed listening to Jen and thought she offered a lot of wisdom, not only for filmmakers, but women in general. One of my favorite things she shared was to remember to think, "what can I give?" And not just, "what do I need?" She said to "always try your absolute hardest, then move on." Two excellent pieces of advice, especially for woman. We also heard from Jeanne Rizzo, the President and CEO of the Breast Cancer Fund, who I found to be especially inspiring. Something she said that really struck a cord with me was; "We all have the capacity to change the stories we live." I think it's a great reminder to go out there and try your hardest to accomplish your goals. There really is nothing standing in the way except ourselves. She talked about how sometimes you need to cross the line to create change, something the Breast Cancer Fund is always dealing with. She said we need to "grab hands with like minded people, cross the line, and stay there until you get something done." It was the perfect way to introduce the films, and really inspired me to go out and DO, and I bet most women in the audience were feeling the same way. I wasn't quite sure what to expect of the films, but I was pleasantly surprised. While I really enjoyed all of them, there were definitely a few that stood out to me, that I really enjoyed. Each of them touched on issues any woman can relate to, or has even experienced themselves. My favorite of the 8 films was by a Spanish Filmmaker, Susan Béjar called Chicas Day. It was about a young girl, and who you presume to be her mother, having a fun "girls' day" by the pool. Laying out, playing make believe, swimming, & dancing. At one point the girl says, "when I grow up I want to be just like you" and the woman tells her, "no, you're going to be somebody important." I don't want to give anything away, but towards the end of the film, the viewer learns more about the older female character. It was such a sweet story about their special Chicas Day, with an unexpected and thought provoking ending that says a lot about relationships and the women that have a big impact on our lives. Although that was my favorite film, I really enjoyed each of them individually. I don't want to give you boring reviews of all eight movies, instead I encourage you to attend LUNAFEST or find the films online. Because all of them are worth watching. Maybe plan a girls' night with friends and create your own LUNAFEST at home, or watch a few with your Mom. I promise it will be an inspiring and enjoyable evening! After we watched all of them films, I was feeling so uplifted! It was really an inspiring experience to be surrounded by so many hard working, determined, and talented women. It's clear why LUNAFEST has been so successful, the event truly does bring women together. By sharing these stories, it encourages women to be the best versions of themselves by taking risks, pushing boundaries, and creating change. I was so honored to be a part of it all. It was such a beautiful night in San Francisco and I was kind of on a LUNAFEST high, so after the show I decided to walk through the Marina for a bit. As I walked along, admiring the beautiful homes and taking in the buzz of the city, I couldn't help but think about the women who have inspired me over the years. The women game changers in my life, so to speak. I've talked about some of them in the past; my Gram, Grandma Norene, and sister. But of course, the biggest woman game changer in my life is my wonderful Mom. When I think about the type of person I want to be, and things I want to accomplish in my life, my Mom always comes to mind. 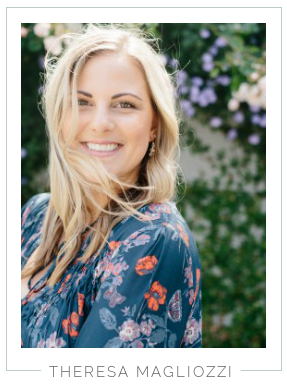 She has all the qualities one could hope to embody, and has found success in every aspect of her life: professionally, as a wife, a mother, seamstress, athlete, friend, chef, and her most recent role, a grandmother. Growing up, my Mom and I used to have what we called "Mother Daughter Day" which is partially why I think I liked the film, Chicas Day so much. It brought me back to those special days spent with my Mom as a little girl. Most of our Mother Daughter Days were spent working on craft projects together. One of my favorites was creating a little wooden doll. It was during the height of my sunflower obsession, I was probably about 8 years old. We decided to create a wooden doll for my room that would sit on the shelf, more of a decoration than a toy. I remember going to the craft store to pick out all our supplies. I felt so special that we were spending the day together working on our project, and that I was able to pick out anything I wanted to create my very own sunflower goddess. Once we purchased our supplies, it was time to head home and start working on our creation. I remember attaching the curly raffia-type string that would be her hair, and hand painting her face with rosy cheeks and a bright smile. And to complete her look, a straw hat with a big sunflower and a matching sunflower dress that my mom made. She was perfect! But even better, is the memory of spending that time with my Mom. How special, that even though she was busy with work, managing our home, driving my sister and I to and from sports practice, being a wife, and making time for herself; she set aside a special day for just her and I. I doubt at the time she realized how memorable that day would be, but it is. That day wasn't just about making a cute sunflower doll for my room, but I learned how important it is to make time for loved ones. To really slow down, and spend quality time together, and appreciate the things in life that are truly important. My mom has been a game changer in my life because she has always been there, every step of the way. Today, I'm lucky to consider her not only my Mom, but a friend. And someone I look up to. Somehow, she manages to wear many hats simultaneously. Most people are lucky to be really good at one thing, and sort of perfect their craft. Well, my mom is really good at a lot of things. And she seems to do it so effortlessly. My Dad recently shared a compliment from a family friend with me, who had said after reading my blog, "she's becoming another Loretta." Which I think was the best compliment I've ever received. There really is no one else I'd rather be like, and I'm honored when people point out similarities between us. LUNAFEST was such a wonderful experience. I'm so thankful to have participated, and for the opportunity to see these films. Even more so, I appreciate that it made me think about the women who have influenced me, and shaped the woman I am today. I think these types of events, that foster growth and inspire women to succeed, are so important! 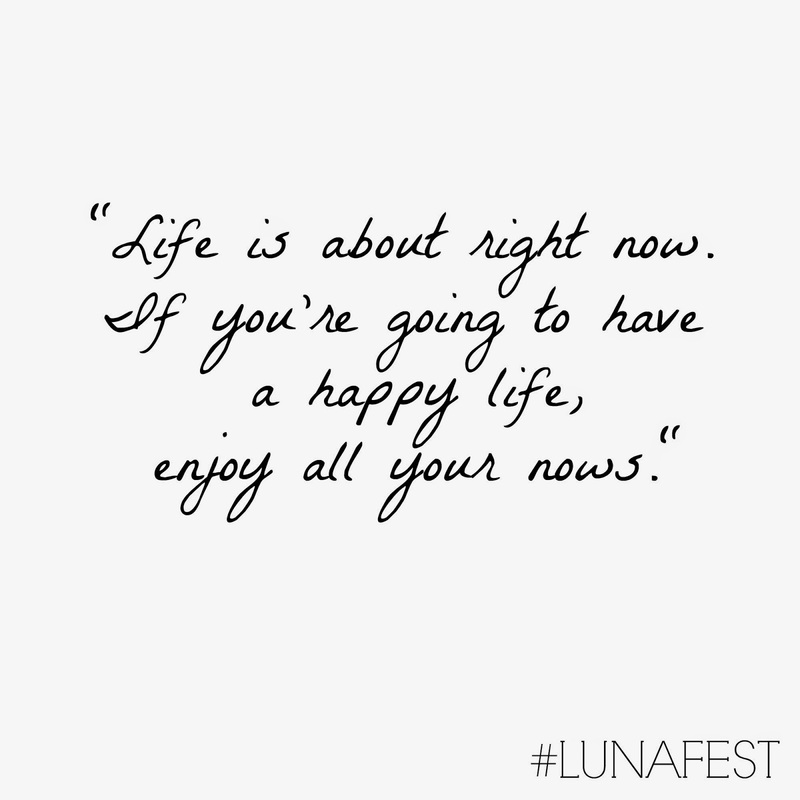 And I encourage you to attend LUNAFEST if you have the opportunity. 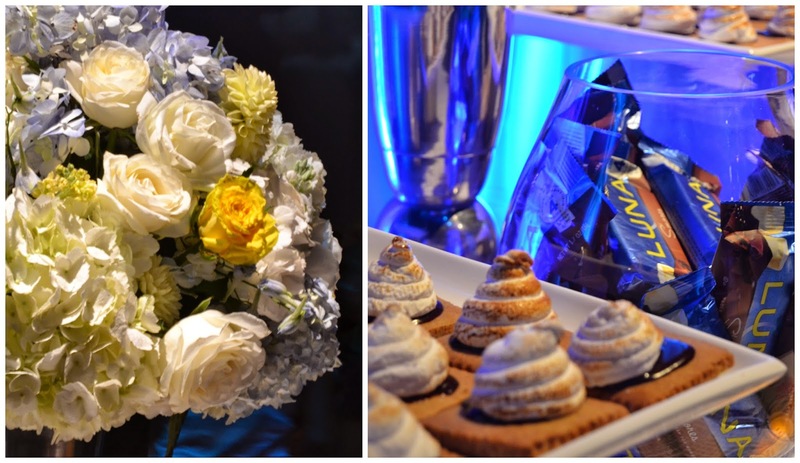 Have you heard of LUNAFEST? If the festival will be traveling to a city near you, I highly recommend attending. I promise you'll have an uplifting and inspiring evening! You can also watch the films online. Who is/are the woman game changers in your life? 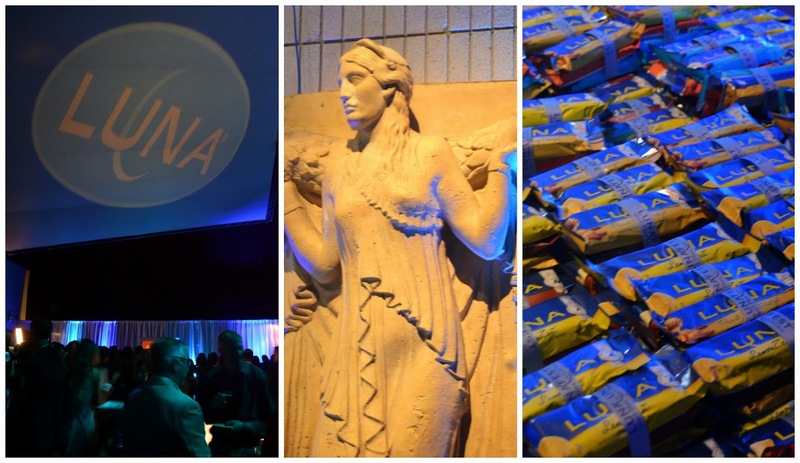 Many thanks to LUNA Bar for sponsoring today's story and inviting me to such an inspirational event! Compensation was provided but all thoughts and opinions are my own. It was truly a wonderful experience! What a beautiful post. I like hearing stories like that. Makes me know that little things I do with Shelby are 'special' and to try and do more. We are all about spending time with her but the doll thing is super cool. BTW - my friend out there that I always talk about? Lives directly next door to the Palace of Fine Arts :) Right there on Baker St.
Love this! Trying to email you! What's your email? That was too cool Theresa!! I have always been in awe of your Mom. She is SOOOOOO mega-talented and so sure of herself if you know what I mean.... Confident. Thank you for sharing!! Love you!!!! I loved Chica's Day SO much! By far my favorite! Thanks for sharing this awesome story about your mama! Sorry I missed you at LUNAFEST. Chica's Day for the win! ;) beautiful story, Theresa! What a sweet dedication to your momma! I enjoyed reading!